WASHINGTON—Following news of a racially motivated shooting massacre in South Carolina that left nine churchgoers dead Wednesday night, the country figured it was once again time to dust off the national dialogue, sources confirmed. 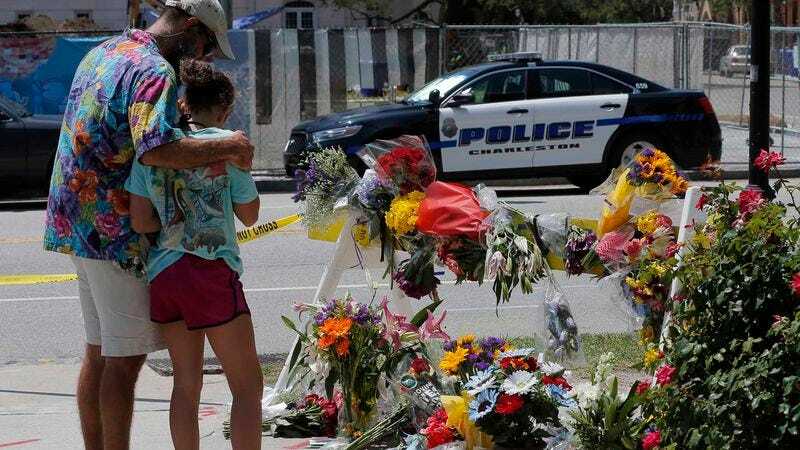 “After yesterday’s tragic shooting in Charleston, we felt it was probably time to pull this old thing off the shelf, blow away some of the dust that’s collected on it, and crack it open,” said Mark Fulton, 43, of Reading, PA, referring to the decades-old discourse regarding the kind of free, safe, and respectful society that we as Americans want to live in, which the nation pulls out a dozen or so times a year in the immediate aftermath of unconscionable violence. “Obviously, we won’t be focusing on the parts about police brutality that we’ve used the last few times, but the other sections about racial tolerance, mental health, and gun control are pretty much good to go. It’s definitely a little worn-out from all the use, but we’ll be careful to return the conversation to storage for safekeeping once we’re done with it in about a week or so.” Sources nationwide added that meaningful change would stay untouched on the shelf and would likely remain there unopened indefinitely.